How are you? I hope you are having a great first week of May and specifically a happy Cinco de Mayo and mustard! It's been a long boring week since I was here last, but I'm slowing starting to feel like someone is putting some gas in my tank. It's just a few dribbles right now, but oboyo, does it ever feel good to be getting back to abnormality a little bit! It seems wrong to say I have no.mo.jo and then show you a couple of cards I made, so let's just say I have slo.mo.jo. Normally Hammy and I get an idea, decide to make a card, sit down and make it. High five, slap your mama, and move on. So it's weird to take days and days to complete that process. But, hey, at least we did! Our first card was sparkled by the Fusion Card Challenge. When Hammy saw the photo inspiration was of a hummingbird, he crossed his tiny arms over his tiny chest and gave me that look over the top of his reading glasses. Mind you, he doesn't really need reading glasses, but I wanted to give him something new and beciting cuz he's understandably sad and missing his little furballs. Not to mention he's a little sore. Before the adoptions, I made sure all of them, including Hammy, had hamsterectomies! Anyway, since I often share my hummer visitors with you, how could we not play along?! This hummer is NBUS from the "Hello Hummingbird" set by The Ton. It is a multi-layer stamp and I'll be honest wit you, I had the devil's own time trying to line up the layers. The body wasn't too bad, but this old woman couldn't line up the long skinny beak for love nor money. It's truly a beautifully designed stamp so I'll keep trying. 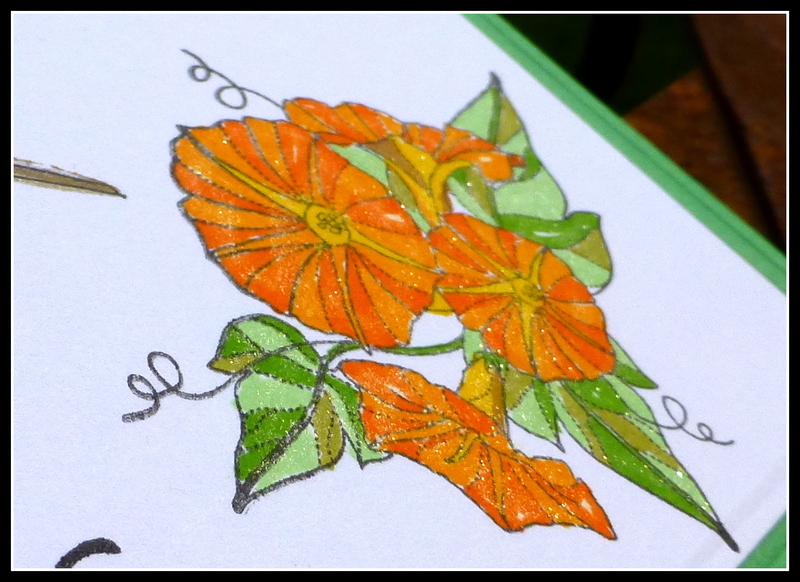 The morning glory stamp, which is also NBUS, is from a stamp set called Year of Flowers by Papertrey Ink, which has been around the Playhouse a very long time. I'm going to leave it out on my desk and challenge myself to use each of the lovely flowers at least once before I put it back. I used my Ziggies for this card and, of course, everything is inappropriately overwinked. The sediment is unmarked in my stash. The frame e/f is "Stately" from Craft Concepts. Addicted to Stamps and More: Make your mark. Ziggies are markers, right? Or no? Fusion Card Challenge: see below. I used the photo portion. I've used this hummer stamp from Inkadinkado before. It also works for the Fusion challenge, so I made this second card. I heat embossed it in black and colored it with my Ziggies. It's also thoroughly winked, so it's quite shiny IRL. The other two stamps used are sediments from two different companies. Unfortunately, the top one is unmarked in my stash, but the bottom one is from PTI's "Bigger Blooms" set. The cross-stitched e/f is from Memory Box. The plaid DSP is from my stash. 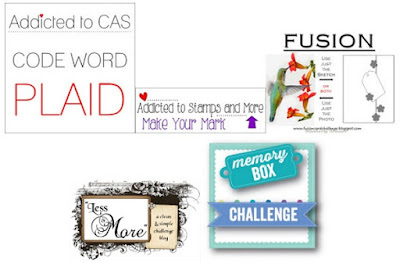 Addicted to CAS: Code Word Plaid. Less is More: Ducky Lip. Use some DSP. Memory Box Challenge: For the birds. Hammy wanted me to show you photos we took of his fabulous six furballs. The last two were adopted by one person, which was really sweet so they could stay together. They will be dearly missed by us and we have visitation clauses in all the adoption papers. Mwah! Please help me welcome these new friends to the Playhouse! Pon Malar of Chase Your Dreams. Pon is from India and she has been blogging her card art since June of last year (happy almost one-year blogaversary!). She is a physician by trade, but an artist by passion. Pon also enjoys photography, sketching, and gardening and she recently added stamp designer to her list of accomplishments! Ria Banerjee of RB-Artfx. Ria is from India and she only just started blogging her creations this past February! 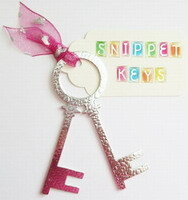 She is a researcher and a teacher, who enjoys relaxing with paper crafts. Like a lot of us, Ria started her blog to play in challenges. She has such a natural talent for coloring and masking. 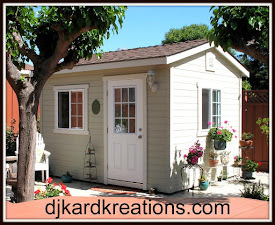 Please welcome Ria to our supportive crafting community in Blogland! Terri Trotter Earley of ... Just What I Do .... Terri began her blog in 2009! I don't need to tell you that there is a lot of inspiration waiting for you in a blog that's been tended to for that many years! It's wonderful to see that Terri's daughter Izzy is also very talented and shares her mom's love of card art! Nance Salkeld of Soul Stampin'. Nance has been blogging since 2011. She is an avid challenge player and a talented member of design teams. In addition to being passionate about card art and scrapbooking, Nance loves photography, redecorating, reading, traveling, spectator sports, and writing. When you visit, allow plenty of time to enjoy yourself! Berina RGA of Moxie Craftie. Berina started her blog in 2013. She is a challenge award winner and design team member. In addition to her love of card art, Berina loves jewelry making, crochet, and all things floral. You'll be inspired by the texture and dimension that she achieves with her card designs! As always, thank you for coming by to visit the Playhouse and special thanks to you if you take the time to join as a follower! Please let me know you came by, so I can be sure and return the flavor! I am sorry I haven't visited some of you in a very long time, but I hope to get back to my routine soon. So glad to hear that you are starting to feel a bit better Darnell - poor Hammy, no fun visits to his girl friend now, just polite ones!! ;-). Love your cards - and your hummers are quite beautiful - love the Inkdinkadoo one in particular. Hi Darnell, Lovely cards. I really like the second one. I simply adore the second card here! So pleased to hear that you are feeling much better! But, poor Hammy and the little ones (great photos), this must be a tad sore, hope they all feel better soon! Love the Hummer on the first card, it is beautifully coloured but the second one has stolen my heart, it is quite simply gorgeous, love all those swirls! Lovely to see you posting again Darnell and what fabby cards too. 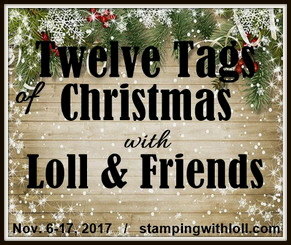 I especially love the stamps you used for the second card - wonderful! Love your two beauties. The details on the stamps are absolutely gorgeous! Thanks so much for playing with us at Fusion! So glad to hear you're feeling better. Gorgeous cards as always .... I love the hummingbirds. Glad to hear you are feeling a little better!! Beautiful cards! So good to see you out and about, Darnell. You've been missed! Beautiful cards showing off some gorgeous hummers. Sorry the one stamp was so futzy. Hopefully you can have more fun with it in the future, because it's a pretty one! Can't wait to see all the beautiful flowers in that stamp set. The petunias (right) are so pretty. Hamsterectomies! Probably a super smart move there. hee, hee! Take is easy, Ms. Darnell, although I can't wait to see what you come up with next! Hugs! Two beautiful cards Darnell. Please take it easy. These are gorgeous! LOVING the hummingbirds!!!!!!!!!!!!!!!!!!!! So sorry your mo is slo, Darnell, but slow and steady wins the race. And your hummer cards are winners. One realistic and one whimsical. Both beautifully colored. Of course if you've no energy or creativity to make cards, you could just regale us with your wonderful stories. We'd be happy either way. Hugs to you, my friend, and feel better sooner. Oh, and yes Ziggies are markers. ;) This is coming from a member of the ATSM design team. As always Darnell, your cards don't disappoint. The sweet bird on your first card is just perfect. Love it. 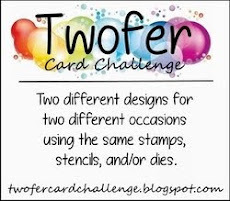 And that image on your "twofer" card is so much fun. And I love the idea of slo mo jo. Super cute. Hugs! Know exactly what you mean about slo-mo and no-mo.....same here! I woke up this morning and once again had to feed the hummers - after doing it last night. I thought if I saw another one of the little beggers I'd scream - and then saw your wonderful cards! Wow! So pretty on both. Love that first one - but once again, I know what you're saying about lining up the stamps. I blame my inability to do that on bifocals (gotta blame it on something you know!). You lined it up perfect though and it's gorgeous! Love the coloring with the Zigs too. Hi Darnell, glad your mojo is revving up albeit slowly. Fabulous cards loving the hummingbirds and the little Hammy's are so cute! Two gorgeous cards Darnell! So glad you're feeling a bit better too. I love the hummingbird images, so pretty, and your LIM card looks stunning with that gorgeous background paper. Fab! Sounds like regaining some strength, surely this trend will continue. Fortunately, your talent for cardmaking is still going strong. Both these hummer cards are gorgeous. I know what you mean about The Ton layering...drove me bats, but eventually it worked out OK.
Know you and Hammie miss the the hamlets...I would, too. But good that you have visiting privileges. Be well, continue improving...we need you (selfish, I know). Hi Darnelle, so pleased to hear that you are feeling better, and enough to create these two wonderful cards. The Hummingbirds are gorgeously coloured and your designs are fabulous. So happy to hear that you are feeling somewhat better, Darnell - hope that you will be back to your wonderful self very soon!!! And what great hummer cards you've got here - both those birds are so beautiful and you have done a great job with the colouring!!! Such a lovely morning glory and the green frame lets everything just come alive!!!! The plaid paper and the cross-stitching on the second card are beautiful!!! Looking at these two cards, one would not say that you are feeling a bit mojo-less!!!! Hamsterectomies for all of them - how could you, Darnell!!!! LOL!!! - I'm sure Hammy would have loved to be a grand-hamparent one day - too late, now I suppose!!!! I love that computer boffin, Hubert!!!! 2 wonderful and super designed cards. Love the both of them, and those fab stamps. You say your Mojo is on slow, but you have done such a very super work of those. So glad you are on the mend, and feeling much better. Beautiful cards, Darnell! So glad you are slowly feeling better. Keep crafting....it's good for what ails you!! In between rainy stretches, they hover around curiously peering at bright pink tissue I have in a box near the window and also at my pink valentine box, containing supplies for that one last Valentine idea I want to make before putting it away!! Ha. So great!! to see you back again!! I love both your cards but I have to admit the second one made me swoon!! Two delightful cards!! Keep hanging in there friend!! Two beautiful hummingbird cards - especially the second one with that gorgeous swirly hummingbird. Pleased to hear that you are feeling better Darnell. It's a pain when Mojo goes away on his holiday. Both cards are fabulous and the Hummingbirds are beautifully coloured. STUNNING WORK! I totally thought of you and your visitor when I saw this set from the Ton! Home the hummers find their way back to your garden wonderland this year! Well no signs of no.mo.jo here Darnell. Fabulous hummingbird cards. Pretty papers and fabulous images. I have been suffering from no.mo.jo for quite some time now. There are days I take all day to make one card and then I am not happy with it. The offspring photos are so cute! Glad to here you are feeling better Darnell, two gorgeous cards to say your mojo is on slow, beautiful colouring and designs. when I saw your card I was speechless with the impression! I've never seen a hummingbird with my own eyes, but I imagine this beautiful bird. I do not know how you did it, but your picture shimmers green and gold and hummingbird looks like it was moving. This is an extraordinary impression !! Slo mo jo is better than no mo jo! Pretty cards! Such gorgeous cards. And, the hummingbirds are beautiful as well. Nice to have you back again! PRETTY PRETTY cards Darnell! The first is vibrant and so realistic. I like the fancy swirls and flourishes in the images on the second. Sweet little family photos, Hammy should be a proud papa! I'm glad you are feeling a bit better and that Hammy was there to snuggle with you. I love your cards. The first card is so brilliant in the colours...really pretty and wondering what you used?? I also love the 2nd card and that hummingbird is so artistic..beautiful cards and really missing to get into my cards..hopefully this weekend. Saw the title of your post and would have bet money you bought a new hummer (you know those big cars)! So funny how our brains work when we see words. Love both of your sweet cards and I pray you are feeling better sooner than later! D: sorry about your slo-jo... glad to hear it's picking up. You always get me with your h-bird pix and cards :) Thanks for the hammy pix... Love 'em! So glad to hear you're starting to get some energy, Darnell! At least you're moving in the right direction! Of course you had to play in a challenge with a hummer in the inspiration! Beautiful use of your Zigs--both cards are lovely! The twofer is my fave this time. I'm sorry to read that you've not been well, Darnell. Kisses and big hugs for a quick return to your former splendour. AML, Janelle Mwah! Beautiful hummingbirds! I always love seeing the ones that fly and the ones on paper that fly in our imaginations. The hamster pics were also very sweet. Thanks so much for sharing. So good to know that you are stronger and with a ...mo.jo. Judging by these two beautiful cards, I would risk saying that it is fully back! Love the stamp on your second card, is truly unique. When I saw the inspiration photo at Fusion, of course you came to my mind immediately. Please give a tight hug to Hammy, the furballs are the cutest thing. I love that plaid paper as a backdrop to your hummer Darnell, super colour for him too! Fun post as ever... hope the mojo is up to full strength soon... looks as tho' it's doing pretty well at the mo though!! Two beautiful hummer cards, looking wonderful to me. Maybe the mojo is low cause you adopted the fur balls out and you are suffering from empty nest(hammy home) syndrome. Looking at your cards it wont be long before your knocking them out of the ball park again on a daily basis. I would say your mojo is back! Beautiful cards. Thanks for sharing at Less is More! Glad to see you are coming round to a better place. 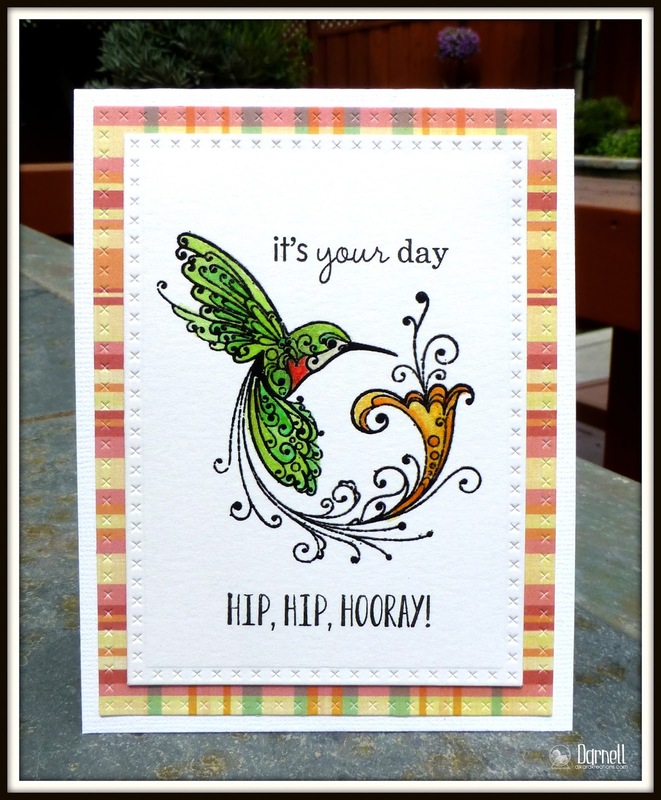 Your hummers are darling and perfect cards as we head into summer. Hi Darnell! I used the Ton Hummingbird too, and also had a heck of a time. Finally put it into the misti, which helped, but not thrilled with the results yet. Love your beauties here, and both are stunning with the gorgeous colors! Scoping out that frame on the first one. Oh the trouble I get into visiting you! PS, love the hammie photos!!! many thanks for joining us at ATSM this week. Lovely cards! Still makes me wish our "hummers" would come bacK! Oh well, maybe someday, in the meantime...I will enjoy yours. Glad you are feeling better. My meds have have been helping me a bit. I'm thankful for that. and I hope you have a very special Mother's day! Gorgeous cards and coloring Darnell! Two fabulous hummers Darnell! Glad we can help you get your slo.mo.jo back ;) So glad you joined in the fun @ FUSION! Of course, you had to play in a challenge that featured a hummingbird! Your cards are gorgeous! Doesn't matter how long it took you to create them, the main thing is that your mojo is starting to come back! Hope you will soon feel like your abnormal self! 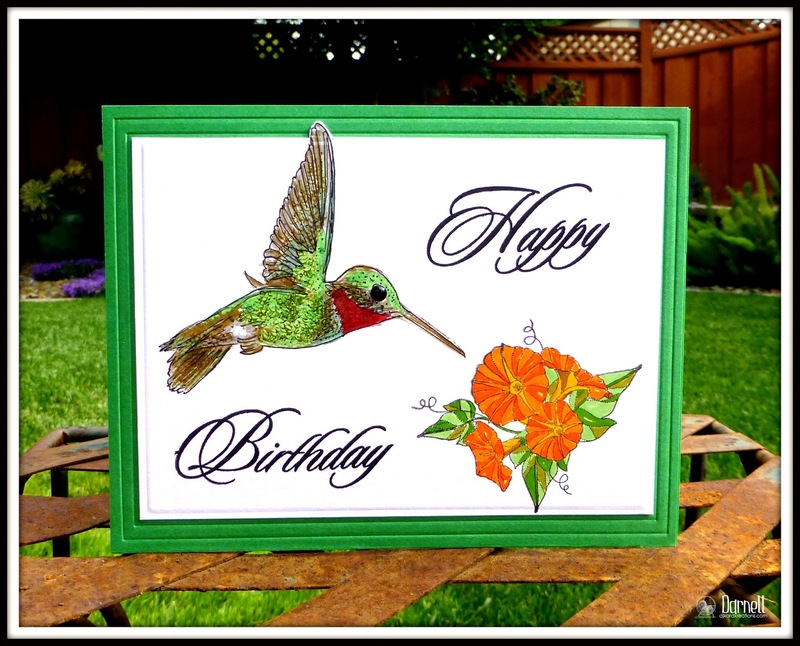 The hummingbird card is a perfect one for you to make. It is lovely and your coloring is great. I love the morning glories too. We had them growing up in blue and I still love them. Please give Hammy an extra hug. It's so hard for him right now but he will feel better. I'm glad you have him to cheer you up and I'm so very happy you are getting better. Keep up that good feeling my friend. I've a lot of catching up to do but it's always a pleasure to pop in here ... Gorgeous cards Darnell and I'm so glad that you shared the photos of the fur babies ... Glad they all got good homes ... Have a beautiful week! Wonderful work Darnell, I have to admit that I am so bad at multi-layer stamp as well! Wow Darnell, I can't believe how completely different your two hummingbird cards are in style...but how they both perfectly capture the magic and energy of a hummingbird in flight. Can't believe I've never seen that image by Inkadinkado because I LOVE it! A simple design with lots of punch and impact. 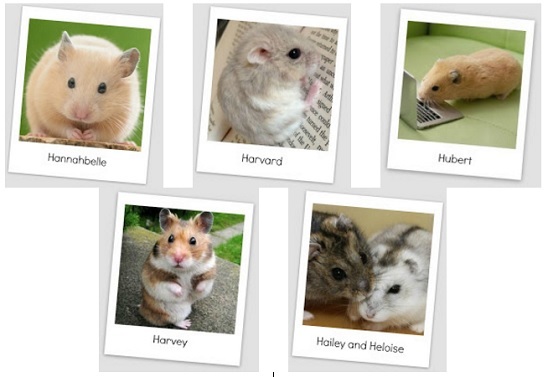 Argh, you would have to tug at my heartstrings with the photos of Hammy's little furballs, wouldn't you...sniff sniff. I would have adopted one or two myself if it weren't for my dog, Toby, expressing himself in no uncertain terms. Only one adorable furball allowed at a time in this household! Hope you are feeling more like yourself, or at least like someone who resembles you! Wow gorgeous cards as Always. Love the plaid border. Thanks for joining us at ATCAS. Beautiful cards, glad to see your mojo return, thanks for joining our plaid challenge at ATCAS! Trying to do a bit of a catch up Darnell, sorry I haven't visited very much of late. But have been seeing all your posts and gorgeous cards! So excited that its Hummingbird time and so glad you got your mitt's on those stamps. I'm sure you will get the hang of lining it up, I noticed nothing out of place and its gorgeously coloured. And all those furballs, I didn't know you had more than one 'Hammy'. He must miss all his little friends, so glad you have visiting rights!! I'm still busy snort-laughing over the "cinco de mayo and mustard" and the "slap yo mama and it's done" statements. There were cards too? REally? Oh yeah, hummer time. Very fabulous hummers with bright vivid colors. Love that really flourishy one. The photo of Hammy's relatives made me miss Charlotte, my golden hamster. She got an owie on a foot and had to have it amputated. That didn't slow her down one bit.